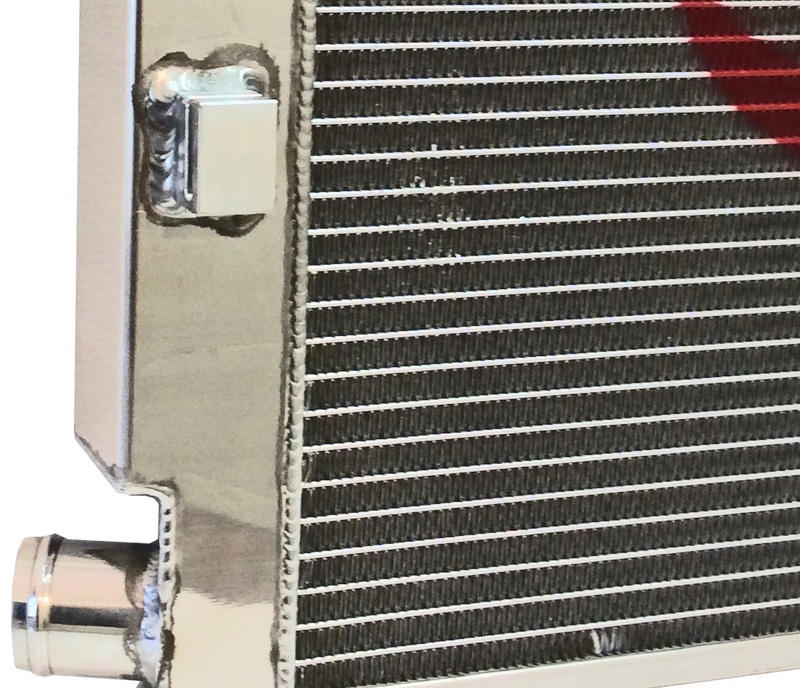 Adrad Radiators have a huge range of Performance alloy radiators to suit most popular performance vehicle applications including street car, 4x4, track, off-road racing, drag, drift, burnout and towing. 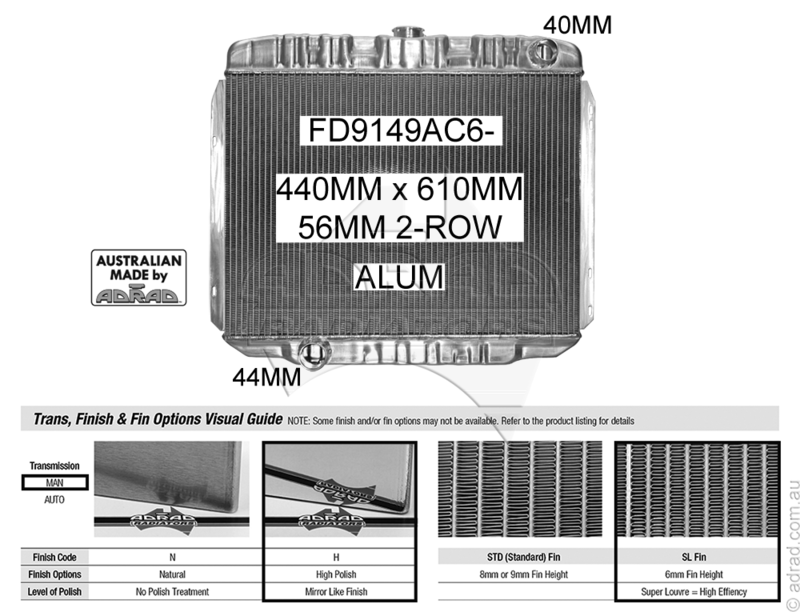 Adrad offer the highest quality Australian made and internationally sourced performance alloy radiators, all backed by our Adrad warranty with Australia-wide support. If you're upgrading the power on your car, you need to think about upgrading your cooling system too. 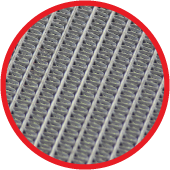 Adrad have all the options available to meet the most extreme cooling demands. 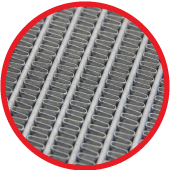 Adrad radiator cores utilise a water tube that is around 14% thicker than that used by our competitors. This thicker tube increases the strength and durability of the tube which means it can be used not only for your irreplaceable muscle or classic car, but also in commercial vehicles both on-highway and off highway. As we have multiple tube profiles/sizes available, we are able to select a suitable combination of tube and fin profile to best suit your vehicle set up and application. 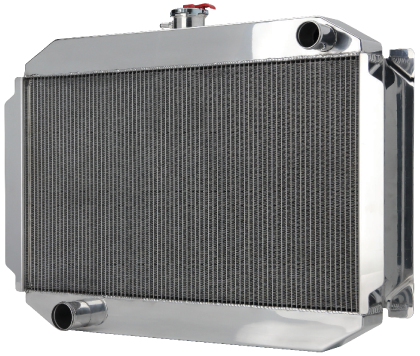 Some competitor radiators use only 1.6mm (or thinner) alloy tank and header material. 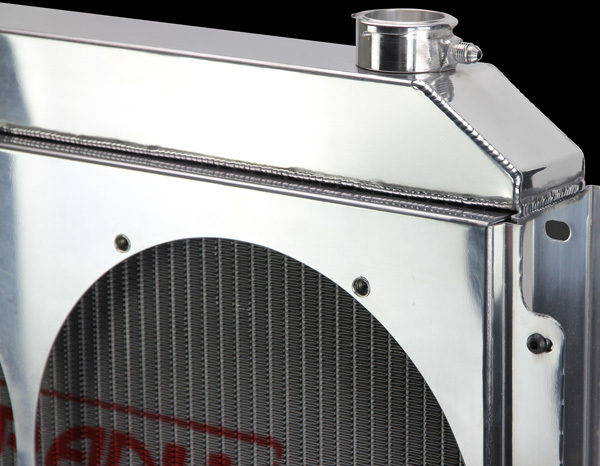 Adrad Australian manufactured full alloy radiators use high grade 2mm aluminium for header plates and tanks, giving you strength and durability to cope with the toughest situations. Typical high quality alloy tube has an overall wall thickness of .28mm. 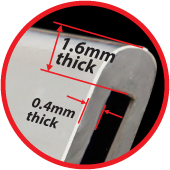 The thickness of the “heel & toe” (outward edges) on Adrad’s heavy duty tube is a massive 1.6mm. This provides substantially greater impact damage protection, making it ideal for use in 4x4’s, light trucks, industrial, mining & agricultural applications where “sand blasting” is likely. Combining this heavy duty tube with Adrad’s hemmed fin (standard 8mm or 6mm SL fin) allows you to have the toughest alloy core without sacrificing performance. 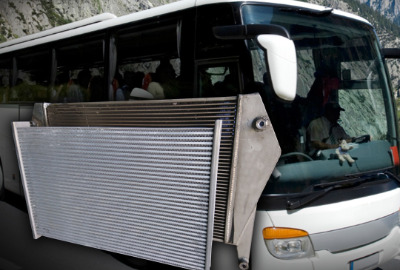 Radiator cores with Adrad Heavy Duty Extruded Water Tube has proven durability in the punishing conditions of Australasian rallies and the world famous Dakar Rally. That’s why it’s also used by Harrop Engineering for use in water-to-air intercoolers for supercharged engines. 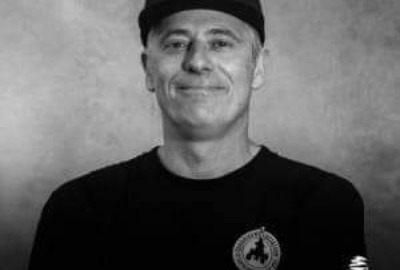 Adrad's high polish option is carefully performed by hand to produce a high quality mirror-like finish. Local competitor machine polish by comparison is uneven and misses areas, such as around welds. 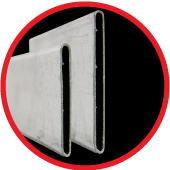 Australian made 8mm standard fin is hemmed for extra impact protection and durability. 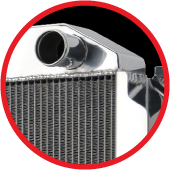 The industry standard for decades, radiator cores with standard 8mm fin provide good cooling in normal city and highway conditions. 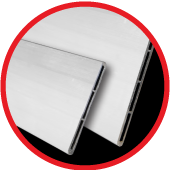 For many years Adrad’s 6mm SL louvred, hemmed fin cores have been the performance benchmark providing high performance cooling, superior strength and light weight. Precision made, Adrad’s fin to tube bonding is class leading, providing optimal heat transfer from tube to the louvred hemmed fin for maximum heat dissipation. As car manufacturers strive for performance and efficiency gains, cooling systems need to be more compact, yet provide high levels of cooling performance. 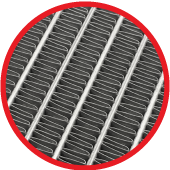 Adrad’s XF cores, with low profile 4.75mm high louvred fin, allow tubes to be closer together so more tubes can be placed in a fixed area, providing the highest level of cooling performance. What Makes One Core Better Than The Other?